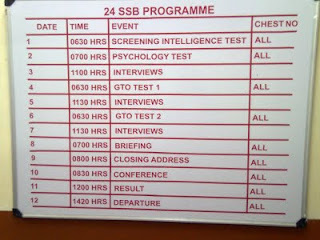 Friends, In the selection board, every day starts at 6.30 am in the morning. i.e. 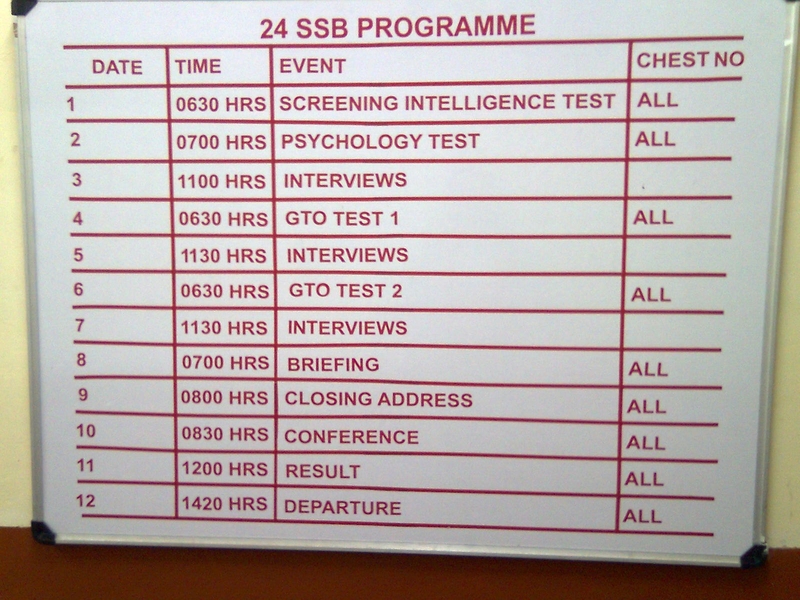 The tasks start by 6.30, for this we have to wake earlier, so our day may starts by 4.30 itself in the morning. The day starts with breakfast then individual assessment based on the day on which we are. For example, on the first day we may have screening assessment, while on the second day we may have psychology, third and fourth day we may have group tasks etc. We can enjoy a lot in the selection process. Friends this is the five day schedule and timings.